Luis Severino had an incredible outing to earn his 12th win of the season. He threw seven shutout innings, allowing six hits and no walks, with nine strikeouts. The Yankees got on the board in the first when Aaron Hicks hit a solo home run. They added to it when Gleyber Torres laced a two-run single, followed by a Greg Bird RBI single, to make it 4-0. Hicks had a sacrifice fly in the fourth, followed by a Didi Gregorius solo home run in the fifth to make it 6-0. All the Yankees runs came against Phillies starter Jake Arrieta, but only three of the six runs were earned. Arrieta allowed nine hits and a walk, while striking out five. 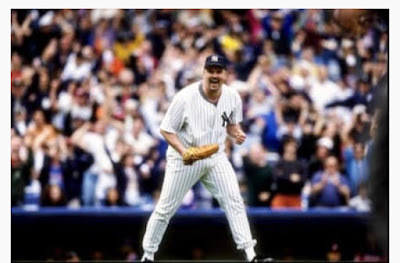 The Yankees also played the Phillies in their 77th game in 1998, and they jumped ahead in the second inning when Tino Martinez launched a two-run home run. Philadelphia tied it at 2 in the fourth when Scott Tolen hit a solo homer followed by an RBI groundout from Mike Lieberthal, which scored ex-Met Rico Brogna. The Yankees came right back in the fifth when Tim Raines had an RBI single, followed by a two-run single from Tino Martinez to make it 5-2. That was all the support David Wells needed, as he went seven innings, allowing two runs (one earned) on seven hits and no walks, with four strikeouts, to earn the win and improve to 11-2. Mariano Rivera threw 1 2/3 innings, in which he didn't allow a hit or walk and struck out one, to earn his 20th save of the season. Where they stand: The 2018 Yankees (52-25) remain five games off the pace of the 1998 team, which was 57-20 through 77 games.